Tekscan's load & force measuring systems answer market needs for an economical test & measurement tool. FlexiForce™ sensors and complete measurement systems are used to measure, analyze, and verify products and applications. Our force measurement solutions are used throughout various industries including medical, design services, electronic components, manufacturing, and academics. The FlexiForce sensor is thin, flexible, and accurate making it an ideal, user-friendly tool for engineers, researchers, or scholars looking to obtain force feedback data. The ELF™ system consists of USB-based data acquisition hardware, software (also available in high speed, measuring up to 6,000 Hz), and three FlexiForce B201 sensors. Patented electronics allow you to optimize the performance of the ELF system over a selected force/load range. The electronics adjust the device sensitivity to best fit the dynamic range of the specific application. Simple calibration procedures can deliver accuracies of ± 5%. More controlled procedures can reach an accuracy level of ± 3%. The WELF 2 system consists of a battery-operated WiFi transmitter (certified 802.11b radio- 802.11b/g/n compatible), Windows-compatible software*, and three FlexiForce WB201 sensors. The WiFi connection setup has ad hoc and access point (unsecured router) network capability. Sampling rates up to 200 Hz (high speed software samples up to 6,000 Hz). The FlexiForce sensor acts as a force sensing resistor in an electrical circuit. When the force sensor is unloaded, its resistance is very high. When a force is applied to the sensor, this resistance decreases (as shown in the blue Force vs. Resistance curve). 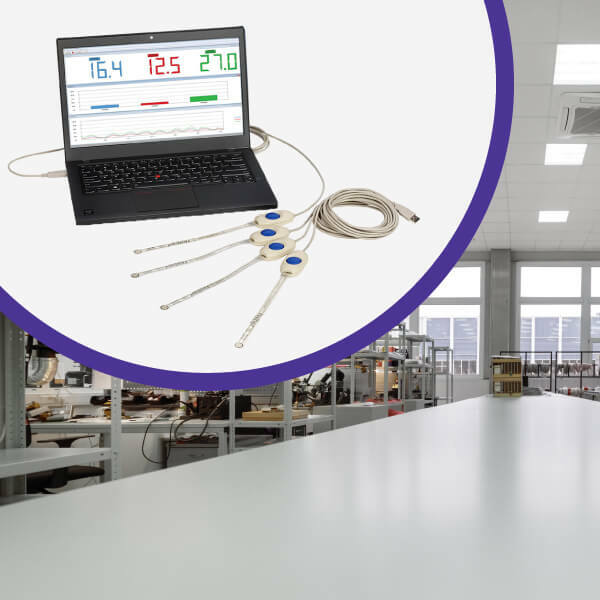 The ELF and Wireless ELF Systems, with their patented data acquisition interface and intuitive analysis software, offer a complete, turnkey solution for measuring force with FlexiForce sensors. The ELF and WELF 2 systems are available from our online store.